Pram - a vintage illustration of a pram is featured at the top of the design, with a beautiful script font for baby's name. We love this vintage illustration of a pram: haven’t we come a long way?! We particularly like how the very modern, bright pink counteracts the slightly old-fashioned imagery. 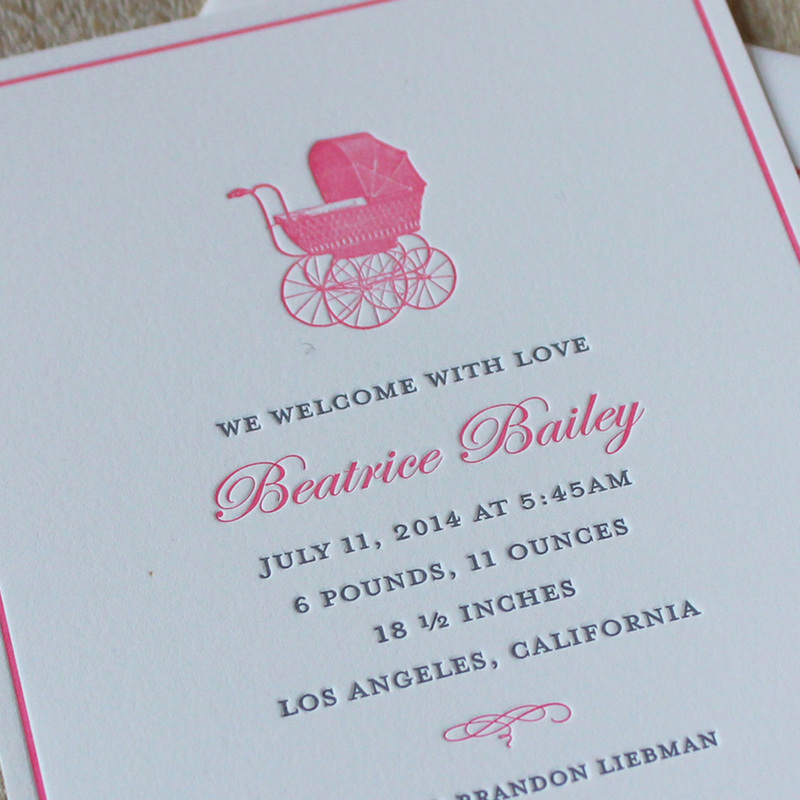 The simple border draws the whole design of this letterpress baby announcement together.